I haven’t had any time to work on any sewing projects in about 5-6 weeks! I know, can you believe it?! I am starting to feel sorry for myself! Since getting back from my two-week trip to China, I have been working non-stop on a homework project on value for my design class. It’s due tonight, so I am looking forward to sewing all weekend! I have been holding onto this set of Ava Rose fabrics for awhile now, and finally decided to figure out what to make with it. Each fabric is so lovely, with beautiful roses, damask, polka dots and stripes. I love the pink colorway the best, but the blue and green are just as pretty. I like the charm squares quilt design featured in the December 2008 issue of Sew Hip magazine (my favorite magazine! 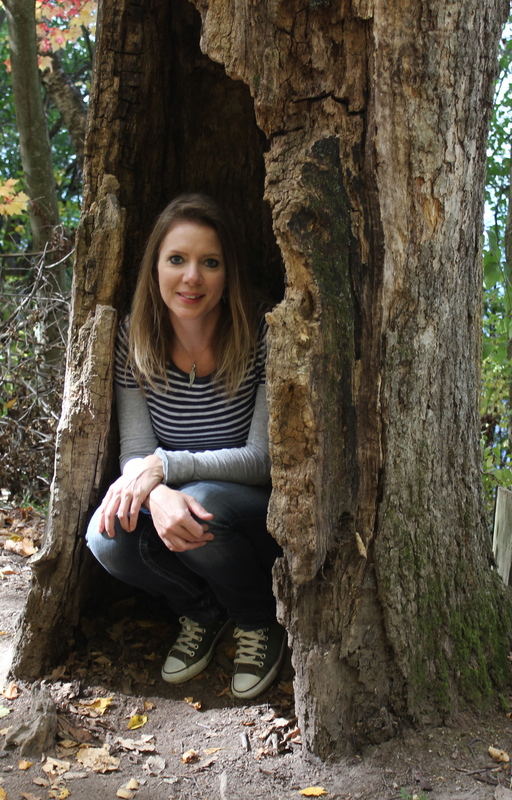 ), but, of course, I had to change it up to make it my own design, and make it bigger. I laid out the squares by color and like the way this came out, even though it was midnight so the picture is a little dark. After I finished taking the picture, I decided it was more rectangle-shaped than I wanted it so I moved a row to make it more square. 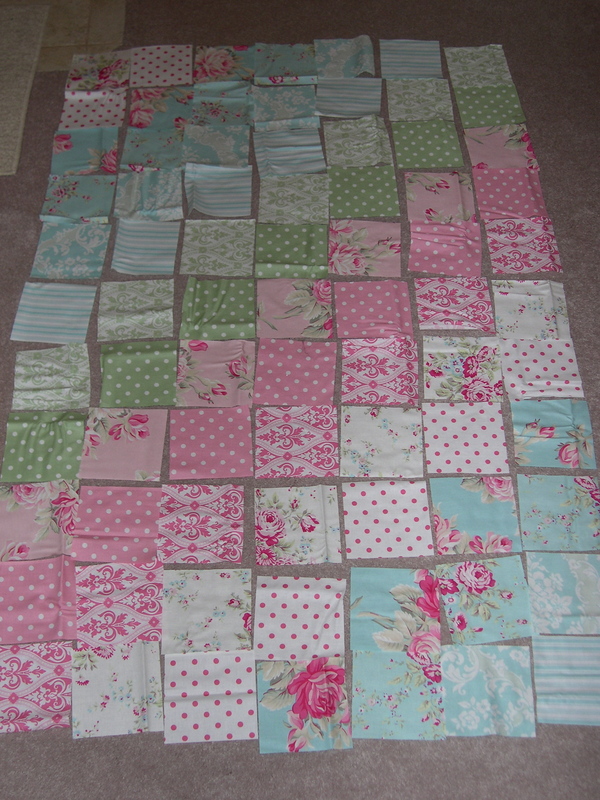 I am going to put white borders around the squares and the rose pink for the binding. I don’t have a large enough piece of fabric for the backing, so I guess that means for fabric shopping! 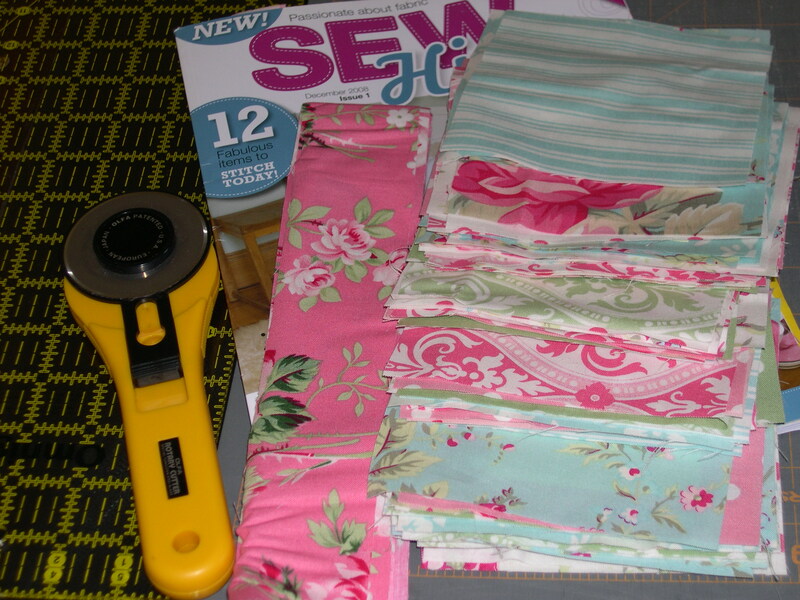 Love those Ava Rose fabrics…that is going to be one gorgeous quilt! I’ve never bought that magazine…is it mostly quilts or other types of sewing projects? This will be one pretty quilt! I love the colors. I don’t get to see too many girly things around here. I love those fabrics! Enjoy the sewing!